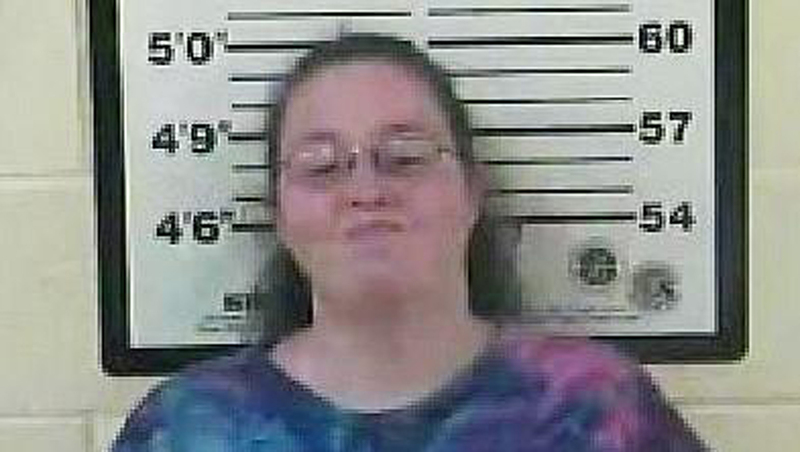 CARTER COUNTY, Tenn. - Police say a substitute teacher is behind bars after allegations surfaced that she stapled three students at an elementary school in Eastern Tennessee, reports CBS affiliate WJHL. Authorities say the incident happened Monday at Central Elementary School in Carter County. Alisha Cook, 43, of Elizabethton, is accused of stapling three students. She was charged Tuesday with three counts of simple assault. "The principal called to tell me that my daughter wasn't in trouble, but she had been stapled by a teacher," Brandy Gobble, the mother of one of the alleged victims, told the station. Gobble said a school nurse removed staples from the students' arms. Gobble's daughter Elizabeth told the station that Cook bragged to sixth grade science students about stapling high school students. "They said, 'I don't believe you,' and then she said, 'Do you want to see?'" Elizabeth said. "I guess they said yes, and then she got the staple and stapled their arm." Central Elementary is a kindergarten through 8th grade school. Carter County Director of Schools Kevin Ward told the station he could not comment on the case because it's an open investigation. Police say Cook was booked into the Carter County Jail and placed under a $5,000 bond. She is scheduled to appear in court May 13. David Turecamo, "Our Man in Paris," explores the history of France's famed Notre Dame Cathedral and explains how it was saved from near destruction, int his story originally broadcast on April 24, 2011.